4-H in Canada all started here in Manitoba! 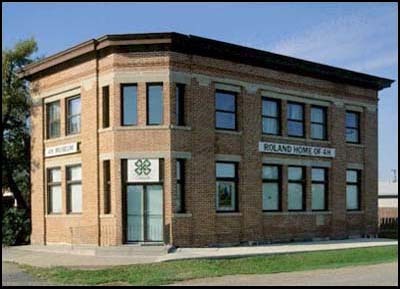 Roland, Manitoba is recognized as the birthplace of 4-H in Canada as it was the community in which the first organizational meeting for a Boys and Girls Club was held in 1913. Over 4-H’s 100-year Manitoban history, the program has been through many changes. At that time the clubs (Roland was followed in the same year by Darlingford, Manitou, Neepawa, Oak Lake, Starbuck, Stonewall and Warren) were organized by the Extension Service of the Manitoba Agricultural College through the school systems. There were several changes in the provincial departments responsible for club organization until 1926 when the responsibility was transferred back to the Department of Agriculture where it remains today. It was not until early 1951 that the 4-H name was adopted. In a move towards self-government, the Manitoba 4-H Club Council was established that same year with the objectives of promoting, encouraging and improving the 4-H club program. The original clubs were multi-purpose and the 472 founding members raised poultry and grew potatoes and fodder corn. Between 1928-1930 single project clubs were developed, including grain, beef, sheep, dairy, poultry, garden, clothing and cookery. By 1963, the 50th Anniversary of 4-H in Manitoba, the trend had again returned to multi-purpose clubs, except for some of the agricultural projects. In 1913, members were aged 10-16 and the age ranges have varied over the years to the current eligibility of 6-25 years. Membership reached a peak of 9,495 members in 1939-40 and then declined rapidly during the war years (as a result of enlistment and labour shortages) to 4,323 members in 1944-45. In the last few years, 4-H Manitoba has had over 2,000 members. Some things, however, have not changed. The program’s original aims of skill development, leadership and citizenship training are still the focus today. The importance of public speaking skills was recognized as early as 1926 and the Provincial Communications Competition, begun in 1947, remains a cornerstone of the 4-H program. The involvement of local leaders and members in club management began as early as 1916 and continues to this day. And current members continue to recite the 4-H Pledge that has been in use since 1927 when it was officially adopted at the first United States National 4-H Camp in Washington D.C.
As 4-H Manitoba moves into the next 4-H century, the program will continue to adapt to meet the changing needs of our lifestyle and rural communities as it has for its first 100 years. The 4-H Museum located in Roland, Manitoba is the Official 4-H Museum in Canada. 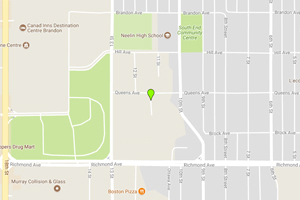 It opened in August of 1990 and now has over 220 artifacts from across Canada and the U.S. The artifacts and memorabilia consist of anything related to 4-H such as trophies, uniforms, banners, records, scrapbooks and articles made in projects. In honour of the 100th Anniversary celebrations, the museum also received special items from each of the provincial 4-H organizations which are housed in a custom-built display cabinet. The oldest artifact is a medal for a flower competition in 1911 donated by Walter McDonald (an original member of the Boys and Girls Club formed in Roland). In 1911, work was already beginning on organizing the Boys and Girls Club. Another medal donated by Walter McDonald is from 1913 for a gardening competition in the Junior Section. The 4-H Museum welcomes any artifacts or memorabilia that clubs, provinces or states would like to donate. Historical paper documents can also be sent to the Provincial 4-H Office for placement in the private archive section of the Province of Manitoba. In 2013 4-H turned 100! 4-H leaders and members had many exciting opportunities to celebrate this great 4-H milestone throughout the province. Beginning with Ag Days in January, 4-H was featured and honoured at many local fairs and events. The MacDon Centennial Windrower was a popular part of displays throughout the province including the Royal Manitoba Winter Fair, FunFest, and the Boissevain Rally. May brought 4-H representatives from across Canada to Manitoba to celebrate in conjunction with 4-H Canada’s AGM. A long weekend of festivities included a Manitoba Social, a gala banquet, and 4-H Night at the Museum in Roland, the home of 4-H in Canada. Many alumni and current 4-Hers were joined by Premier Greg Selinger who toured the 4-H Museum and participated in the ceremonies. That weekend, the McConnell Beef Club was also acknowledged as the oldest continually running 4-H club in Canada during a ceremony with the unveiling of a commemorative cairn. 4-H Leaders in Manitoba were honoured for their vital contribution to the 4-H program. They were inducted into the Manitoba Agricultural Hall of Fame, and many long-standing 4-H leaders were recognized at 4-H Day at the Legislature. 4-H Manitoba was also recognized by the Manitoba Historical Society as a centennial organization at their AGM in June. A national initiative that continued throughout the year was a food collections drive. Manitoba clubs collected 1755 pounds of food and $2127 which were donated to local food banks. Thanks to all the clubs who contributed to making this initiative a success! 2013 served as a great opportunity to look back on the accomplishments of 100 years of 4-H. 4-H Manitoba now looks forward as the next generation of 4-Hers step up and continue to “Learn to Do by Doing.” Here’s to the next hundred years!